What: Mostly banjo music, or music that has a banjo somewhere in the song — some old timey, some newish — with a ‘couple a cappella tunes thrown in. Special thanks to Traveling Cynic for the able assist with the set list. What: Some of the better music of 1969, plus some audio bits thrown in. A longer-than-usual show that runs about 2 hours and 50 minutes or so. What: Songs about parts of the body. Anatomy, if you will. What: Songs about insects. Fairly self-explanatory. 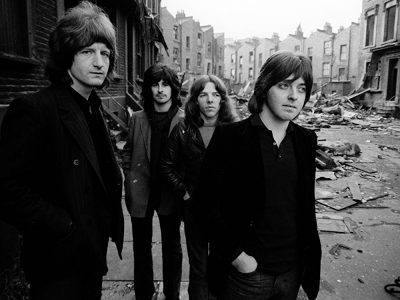 What: Today is the anniversary of Pete Ham’s (Badfinger) birth. We will spend the first half of the show first listening to just under a half-hour of biographical material from BBC; then to some of my favorite Badfinger songs. Then, in the second half of the show, we’ll hear various artists doing songs about con artists, swindlers, rip-offs, and the like. The second half of the show will make more sense if you know something about what happened to Badfinger. What: To mark the anniversary of Lowell George‘s birth in 1945.